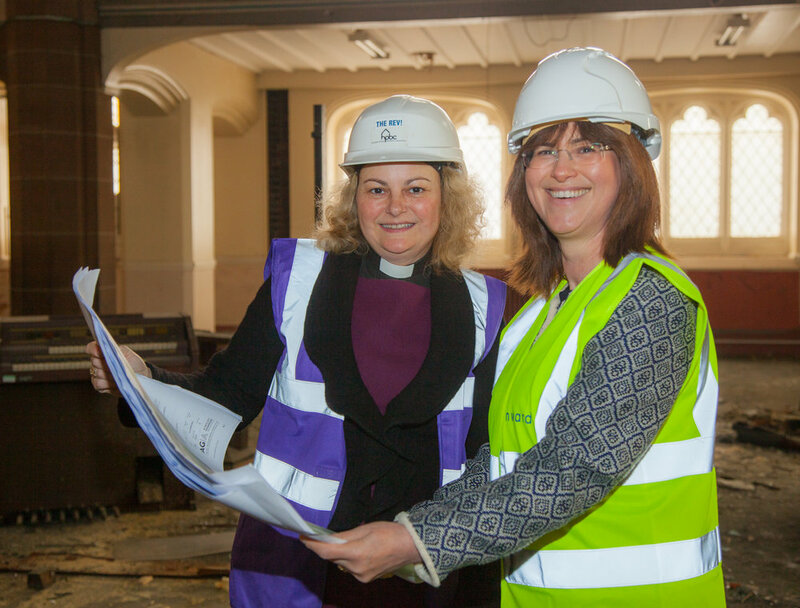 Award winning charity Housing People, Building Communities (HPBC) will work in partnership with Onward (formerly Liverpool Housing Trust) to create eleven three-storey townhouses within the shell of the church, which dates back to 1901. On the site of the former parish hall adjacent to the church, a three-bedroom detached house will be built along with four two-bedroom ‘cottage style’ apartments, each with its own external front door. All properties are for shared ownership. While not listed, St Bernard’s is one of the few surviving Victorian buildings in the area, and is considered a building of interest, having been designed by Pugin & Pugin (the sons of Augustus Pugin, the architect who designed the interior of the Houses of Parliament). In order to preserve the integrity of this historic building, Wirral-based architect Ainsley Gommon has kept external alterations to a minimum and incorporated as many original features into the properties as possible. Two of the townhouses will have carved stone fonts in their hallways, and many will benefit from the large church windows. HPBC was gifted the church by the Roman Catholic Archdiocese of Liverpool, with the purpose of turning it into affordable homes. This follows their success at delivering the award-winning Kingsley Road / Alt Street housing project on the site of the derelict former church school adjacent to the church. HPBC has devised an innovative approach to helping people get on the property ladder. Their ‘sweat equity’ initiative enables potential homeowners to reduce their deposit by £10,000 by giving 500 hours of work to the development. This could range from manual labour to offering a particular skill or talent. The HPBC team will work with Onward and its contractor to ensure that home partner sweat equity forms an integral part of the St Bernard’s Church conversion. The development work will take 18 months and is due to be completed late 2019. The contractor is Liverpool based Hampton Developments NW.